Insider purchases usually signal that the stock is undervalued. As a result, stock prices often increase after insiders disclose their transactions to the SEC. Academic studies have shown that insider purchases manage to beat the market over the next 12-month period. So if you couldn’t act immediately after a purchase is announced, it still isn’t too late to buy the stock. In this article, we are going to discuss in detail a few large-cap stocks with significant insider purchases recently. American International Group Inc (AIG): AIG was purchased by Director Morris Offit on February 27. Offit bought 15,000 shares in total at around $28.1 per share. AIG was closed at $29.22 per share on February 29, up about 4% from the price at which Offit purchased. During the same period, the S&P 500 index was down 0.1%. For the fourth quarter of 2011, AIG reported operating EPS of $0.82, beating the analysts’ consensus of $0.62 per share. However, AIG’s sustainable core EPS is about $0.60, which is somewhat disappointing. The main reason for the low core EPS is the higher loss ratio and expense ratio of AIG’s Property & Casualty Insurance division, which is experiencing adverse development. With regard to valuation, AIG has a low current P/E ratio of 3.73, much lower than its peers. But its forward P/E ratio of 10.91 is almost the same as its industry’s average PE ratio of 11.1. According to Zacks, AIG is expected to grow at 12.5% per year. We think the double-digit expected growth rate has already been fairly reflected in its price. Overall we think investors should “hold” this stock at this moment. The company seems to be faced with high risks. At the end of last year, there were 21 hedge funds with AIG positions in their 13F portfolios. Bruce Berkowitz was the most bullish money manager about AIG. His Fairholme had over $2 billion invested in this stock (see Bruce Berkowitz’s top stock picks). Larry Robbins’ Glenview Capital also had $169 million invested in AIG. We don’t feel comfortable recommending AIG but the last time Morris Offit bought AIG shares was in early November. The stock gained more than 25% since then. 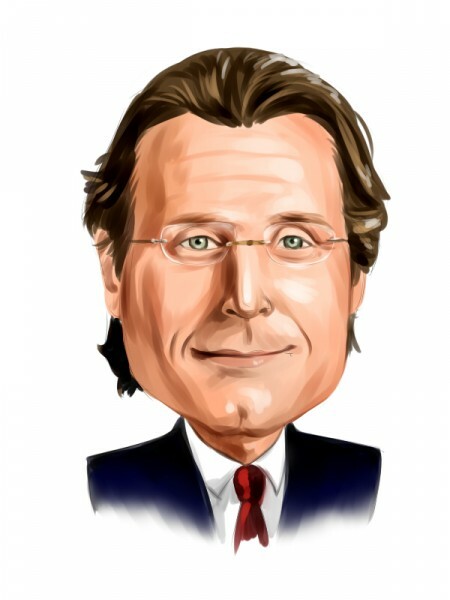 Nielsen Holdings NV (NLSN): Director Robert Pozen purchased 152,755 shares of NLSN at $27.84 per share on February 23. The stock closed at $29.49 per share on February 29, up about 6% since Pozen’s purchase. During the same period, the market was up only 0.29%. NLSN signed a cooperation agreement with Wal-Mart (WMT) in July to receive and analyze sales information from WMT’s US stores. NLSN already has access to sales information of most US retailers, and including WMT’s data will enable NLSN to provide a better view of consumers’ activities. We think the cooperation with WMT will contribute to NLSN’s revenue and earnings growth in the year ahead. In addition to its agreement with WMT, NLSN also rolled out its Online Campaign Ratings to its clients in August last year. According to the company’s management team, client feedback for OCR has been strong. Clients said that OCR enabled them to access a more targeted audience or access the same audience for less cost. NLSN’s forward P/E ratio is 14.48 and it is expected to grow at over 16% per year in the next couple of years. We think it is attractive to purchase the stock at a relatively low multiple now and wait its earnings to grow rapidly. At the end of last year, there were 17 hedge funds with NLSN positions in their 13F portfolios. Eric Mindich was the most bullish hedge fund manager about NLSN. His Eton Park Capital had $356 million invested in the stock at the end of 2011. Robert Pozen also purchased more than 17K shares in August and paid 28.39 per share. Either he was too early in his purchase or he is too optimistic about his company. A few other large-cap stocks with insider purchases recently include Autoliv Inc (ALV), SXC Health Solutions Corp (SXCI), and Ralcorp Holdings Inc (RAH). The insider purchases for these stocks are relatively small (no more than 5000 shares). Therefore, we do not think they are significant enough for a closer look at this moment. But we will be tracking these stocks closely and report additional purchases of these stocks either by the same insiders or additional insiders.